Encouraged by a Chef I admire I decided to make my second attempt at using the Tagine to be a dessert - specifically a Fragrant Spiced Rice Pudding from Chef Gordon Ramsay that I have been dying to try now for a while. I was inspired to try this dish based on the Moroccan based spices I have been reading up and inspired by. I have the book The Spice & Herb Bible 3rd Edition that I have really just started using to create on my own (Christmas Roast Carrot Soup). In any event I was reading up on Cardamom, Star Anise, Allspice, Cinnamon, Cumin etc. and it made me think of steeping the spices in milk and then infusing them in to a Bread Pudding. However, it is amazingly cold outside (-30 something plus a windchill) and I didn't have the bread to make bread pudding so I turned to thinking about rice pudding. Then it hit me the Fragrant Spiced Rice Pudding from Gordon Ramsay's book "Home Cooking: Everything you need to know to make Fabulous Food" (which I have already said if you don't have you need to get). 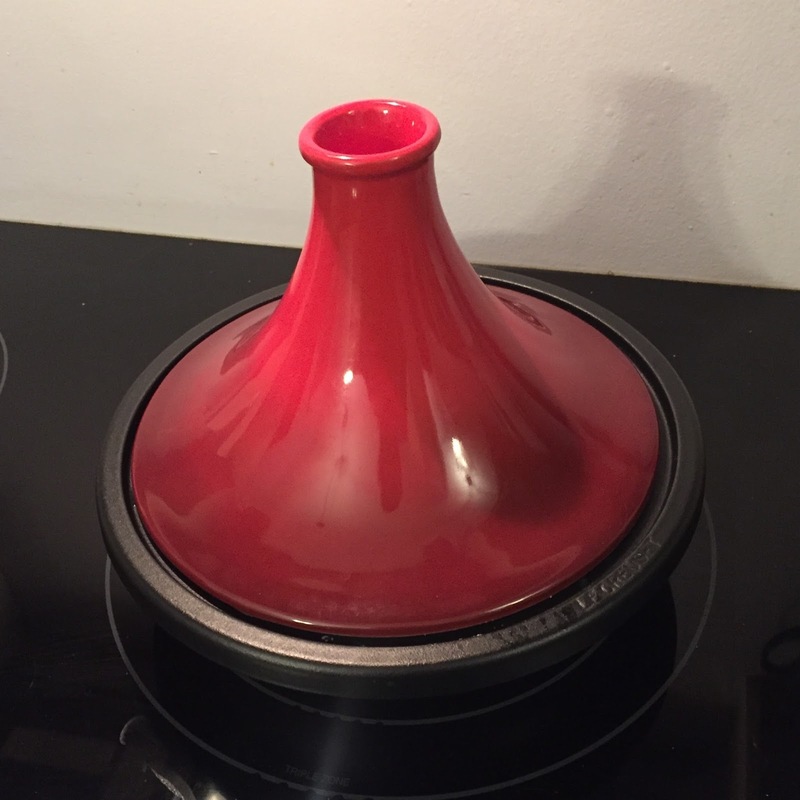 Now a Tagine seems tricky to work with - but what I have read the rules are basic: low and slow cooking over a long period of time. Don't lift the lid unless absolutely necessary. (I am sure there is more to learn but those are the ones I have picked up so far). Basically the magic of how the Tagine works is the special shaped lid. 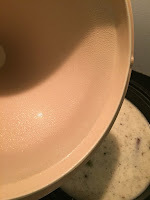 It stays cooler than the rest of the dish so when the liquid in the tagging is hot enough to boil it turns to steam and then condenses on the lid raining back down on the dish. (Think like a slow cooker in a way). Preheat Oven to 400F (because I used the Tagine - I put it on the stove over Medium-high heat to heat while I prepared the spices). Put the Cardamom pods; vanilla pod and seeds in a 9-inch overproof baking pan with the cloves and cinnamon stick. Place over medium heat and toast for 2 minutes until aromatic. 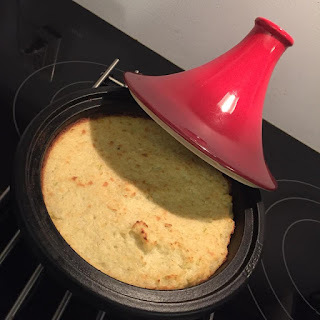 (I placed these in the tagine while it was heating with the lid on - the best smell ever when I lifted it up). Add the coconut milk, sugar, milk and heavy cream and bring slowly to a boil, stirring gently as you do so. Add the zest of 1 lime, then taste adding more if you like. (Frankly I didn't bring the mixture all the way to a boil only because I was going to be cooking it longer in the Tagine on the stove. Also I did not like the flavour of the milk with the zest of the lime added). Pour in the rice and mix well. Bring to a boil, reduce to a simmer and cook gently for 20 minutes, stirring constantly, until most of the milk mixture is absorbed and the rice is softened. (I stirred mine once every 10 minutes and let it cook for about 40 minutes on with the lid on - I was careful to lift the lid straight up and let any condensation fall back into the Tagine).